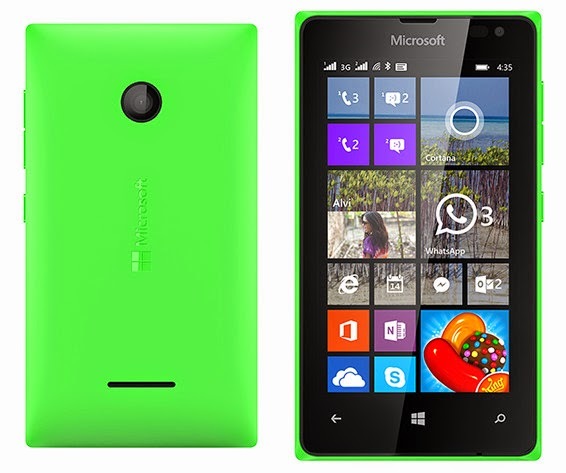 Donning an official suggested retail price of only 69 Euros or roughly Php 3,600 before taxes and subsidies, the freshly unveiled Microsoft Lumia 435 is the most affordable handset that the Redmond Giant has announced as of today. “When we launched the first Lumia devices over three years ago, we said we were committed to bringing devices to as many people and price points as possible,” shared Ms. Jo Harlow, Microsoft's Corporate Vice President for Phones. 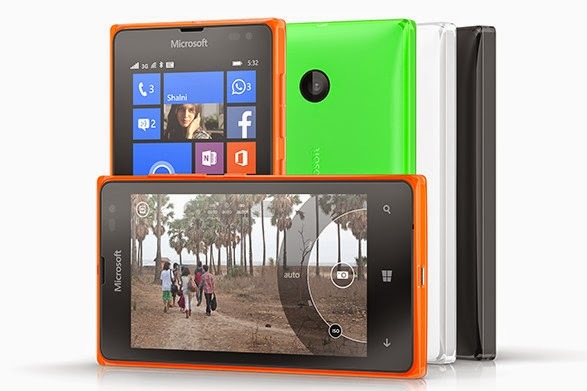 Design-wise, as you can see in these press photos, the Lumia 435 flaunts a high gloss, dual layer monoblock polycarbonate shell reminiscent of Nokia Asha 503 and Nokia X2. I've played with those two earlier releases and I think this is a very eye-catching look that's made possible by the unique construction that also gives the handset a luxurious and durable feel in the hand. 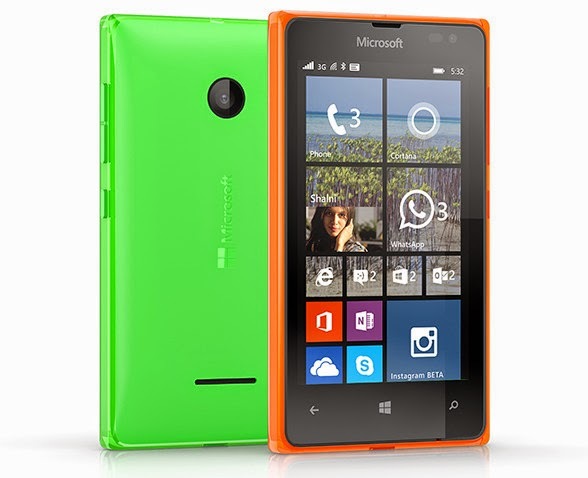 As for the hardware, the Lumia 435 is equipped with a 4-inch WVGA display panel, a 2 MegaPixel fixed focus main camera sans flash, VGA front cam video recorder, and a removable 1,905 mAh battery pack that - according to Microsoft - gives users 21 days of standby time, 64 hours of music play, and 6.6 hours of video playback. As for the innards, the phone runs Windows Phone 8.1 operating system with its Quad Core 1.2 GHz ARM Cortex A7 and Adreno 302 based Qualcomm Snapdragon 200 Qualcomm MSM8210 chipset, has 1 GB of RAM, and 8 GB of expandable storage. Keep your photos, videos and Office documents safely backed up with 30 GB of free OneDrive cloud storage. Meet Cortana, the most personal of virtual assistants, who anticipates your needs and makes tailored suggestions as a result. Have your home screen your way with the latest version of Windows Phone 8.1 and the Lumia Denim update, complete with one-swipe Action Center, Word Flow and Live Folders. Stay up-to-date with the best new features through regular Windows updates too. So do I recommend this release? I think that Microsoft Lumia 435's design, build, and internal hardware exceed what most consumers would expect from smartphone that costs just Php 3,999 (my guesstimate for its price upon launch in the Philippines this quarter). That said, I believe this smartphone would be a great option for consumers who are on a tight budget but are now thinking about finally getting their first Windows Phone device. However, as someone who wants his daily smartphone - regardless of its price - to have decent imaging capabilities and a fairly large screen, I'd advise you to just spend a bit more - if you can - and go for the TechPinas Badge of Excellence Awardee, Microsoft Lumia 535. Just telling it like it is -- like what I always do here in TechPinas.